There’s a lot to like about the cellphone recording of 18-year-old Duncanville High School student Jeff Bliss — particularly if you view this as a viral video that demonstrates our desperate need to recognize students’ voice and agency in education. As Bliss is (apparently) being kicked out of class (for an infraction that the video never makes clear), he delivers a passionate speech about teaching, learning, care, and connection, all of which he juxtaposes to the “packets” and passivity of the classroom and his teacher. On her desk sits a computer, a monitor, a printer, textbooks. On the students’ desks, nothing. No books. No “packets.” No projects. Just a few kids on their cellphones, with one apparently savvy enough to hit the “record” button just as Bliss erupts. The video portrays an intellectually empty space — no indication of learning or engagement. No surprise, the video struck a nerve. An early copy posted to YouTube has over 2 million views. Another posted to WorldStarHipHop has over a million. And yes, of course, people spread those TED ideas (just like people watched and shared “Gangnam Style” and the Jeff Bliss videos). But let's not forget, TED events are attended by a certain demographic and the organization is a powerful media entity in its own right, actively promoting certain ideas and certain videos over others. The ideas are TED ideas; TED spreads. And such it is with the vast majority of the videos and messages that quickly propagate online — that “go viral.” It takes a lot of clicking effort for a video to rise above “the noise” of other online content and become so meme-ishly popular and widely shared. According to the latest statistics, some 72 hours of video are upload to YouTube every minute. Most — obviously — do not “go viral.” Those that do — like certain TED videos — tend to have major media promotion. It isn't simply that they "strike a chord." Viral videos have often been designed at the outset to be “worth spreading” and are spread in turn by those who have (financial, political — vested) interests in promoting the message. 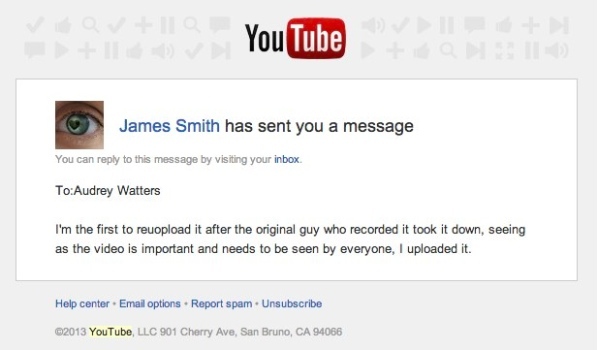 Another individual — not the student who filmed Bliss’s rant — James Smith, re-posted the original cellphone video to his YouTube page too. I contacted Smith, asking him if he was a classmate of Bliss or the person who originally captured the footage. He said he was not, but that he wanted to make sure that the original YouTube video, already pulled offline by Wednesday morning, was seen by others. The video was also submitted to the popular content aggregation site WorldStarHipHop, best known for “shock” videos, by user liquidiamondz. WorldStarHipHop posted another copy in turn, watermarked with its own logo, to YouTube. 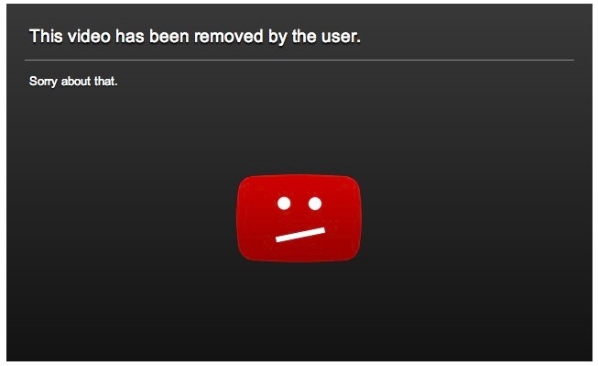 Smith’s copy of the video on YouTube received millions of videos, but yesterday was taken down due to “copyright claims.” Smith himself pulled the video (that is, YouTube did not yank it following a DMCA claim.) Other duplicates of the original remain, including the WorldStarHipHop and OnlyTheBestVideos13 accounts’ versions. The first tweets about the video stem from roughly the same time of the post to Reddit (Wednesday, 10:30am PST - lunchtime at Duncanville High School), and these tweets link to Smith’s copy on YouTube. By Wednesday evening, many other publications and news outlets had picked up the story and embedded the video including Gawker, WFAA, and FOX Dallas-Fort Worth. And by Thursday, the school district had announced the teacher in the video had been placed on administrative leave. Unlike the story that Kevin Ashton tells about the corporate (record label) forces behind the sudden and scripted popularity of “Harlem Shake,” there is no one clear financier behind or promoter of the Jeff Bliss viral video (that’s not to say there isn’t someone making money off the online videos — such is the nature of pageviews and online advertising — but as noted above, the profiteer is probably not the student who captured the video). It’s hard not to see that virality in light of a number of powerful political and social narratives about the current state of education — about teachers and students and the system alike: Education is broken. Students are bored. Students are disrepectful. Students have no voice. Teachers are lazy. Teachers’ hands are tied. Teachers are tired and dispirited. No one has any agency. Standardized testing and standardized curriculum — “packets” — have destroyed curiosity and engagement. Without standards, there is no accountability. We should install video cameras in every classroom. We should ban cellphones at school. And so on. Lots of stories. Lots of competing stories. Lots of competing stories that have been able to align themselves around a short and utterly decontextualized view into one social studies classroom in Texas. The competing stories, along with the varying interpretations of Bliss's actions — was he heroic? disrepectful? — should probably give us some pause about any assertions we make about the meaning behind the video's popularity. What sorts of stories resonate there and why? And how do the popular stories on heavily trafficked sites (particularly on Reddit) then spin out elsewhere and get picked up by other media (and social media) outlets and spread further? How? Why? Whose stories? As I noted at the beginning of this article, “There’s a lot to like about the cellphone recording of 18-year-old high-school student Jeff Bliss if you view this as a viral video that demonstrates our desperate need to recognize students’ voice and agency in education.” It’s just as possible to view this as a video that highlights all the worst stereotypes about the teaching profession too. And as videos don't simply "go viral," it's worth thinking about who benefits — politically, financially, rhetorically — from promoting this story. It's worth thinking about who loses.